This 1 handmade paper rose clip is made by me, Rhonda Motteberg. ~ I cut ~ dye ~ and hand sculpt all my own roses and buds. ~ I then glue them to a clothespin so you can clip them on a vine ~ a gift ~ a Valentine ~ a Christmas Tree ~ your curtains or pop them teacup for a lovely arrangement some people even pin them on for a corsage. ~ It is BEAUTIFUL and realistic. ~ It is a labor of love and you will love it!!!!! ~ I hope you enjoy this unique handmade item from Rhonda's Rose Cottage Designs. As I was making these clips, I thought they sure would be sweet clipped on a white lace valance in a little girls bedroom. I also decorate cakes, and these would be beautiful on a Wedding or Anniversary cake. One of these in the center of an 8" frosted layer cake would be all the decoration one would need to make any cake extra special. I hope you see these roses are a must. I know I'm just rambling off ideas, but how about one more... Wouldn't these make lovely napkin holders?!?!? 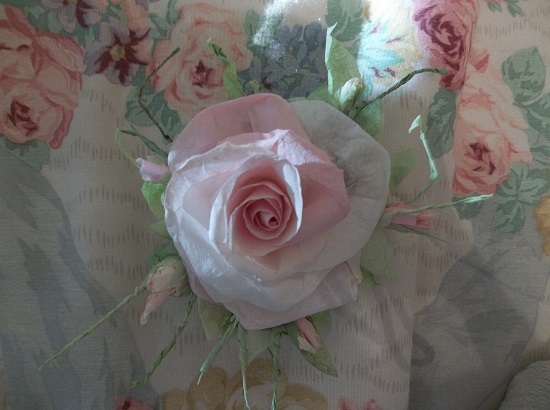 Shop for unique handmade items in Shabby ~ Rose Cottage ~ Victorian ~ Romantic ~ And Garden Styles. Handpainted roses and Cottage Scenes ~ Handmade Paper and Clay Roses, unique items for your life!!!! 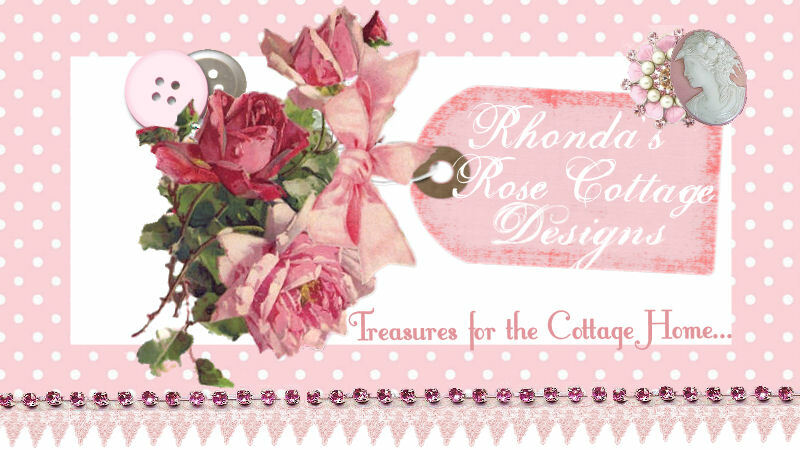 ~ Make your world beautiful and your gift giving easy with Rhonda's Rose Cottage Designs!